Ella Rhodes speaks to the three psychologists recognised in New Year list. 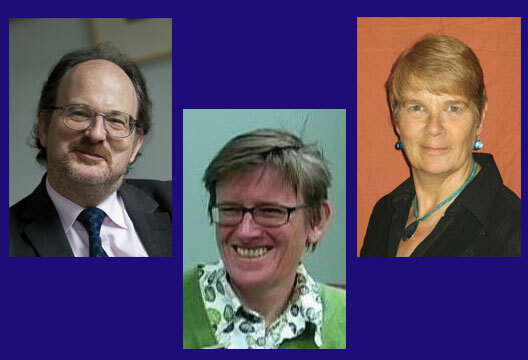 Three psychologists have been included in the New Year Honours list. They were recognised for their work in higher education, helping people with intellectual disabilities and services to music education. They told us about their plans for the future. Professor Paul Webley, director of the School of Oriental and African Studies (SOAS), University of London, was awarded a CBE for services to higher education. He is a member of the editorial board of the Journal of Economic Psychology and former President of the International Association for Research in Economic Psychology. His research has examined the contribution that psychology can make to our understanding of problems that have traditionally been seen as the concern solely of economics. He told The Psychologist that his plans for the future were to continue his efforts to ensure that SOAS was pre-eminent and to work hard to combat the eurocentrism of many disciplines, including psychology. Professor Jan Burns, head of the School of Psychology, Politics and Sociology at Canterbury Christ Church University, was awarded an MBE for services to people with an intellectual disability. Her research interests include gender and sexuality, the quality of life for people with intellectual disabilities and professional issues associated with clinical psychology. As head of eligibility at INAS (the international federation for para-athletes with an intellectual disability), Professor Burns played a key role in the re-establishment of events for people with intellectual disabilities at the London 2012 Paralympics. She received a BPS Public Engagement Grant to enable her to develop web-based and physical resources that explain why people with learning disabilities have been included in the Paralympics and how the systems of general eligibility and sport-specific classification work for this group, and her work was also featured in Nature. Professor Burns said she felt particularly honoured as she knew many others had contributed to the hard work that had gone into the achievements that had been recognised. She added that it was a very emotional moment to see 120 athletes with intellectual disabilities walk into the stadium at the London Paralympics opening ceremony and know that they would be viewed by others with and without disabilities for what they excelled at, rather than their disabilities. ‘To be a part of making that happen by using my expertise as a psychologist has been truly inspiring and really brought home to me how psychology can be applied to impact in such a variety of settings. Our work continues, and we are looking at how to increase the number of athletes with intellectual disabilities competing on the international stage, compete again in the Rio Games, and gain entry into the Winter Paralympics,’ she added. Susan Hallam, Professor of Education and Music Psychology at the Institute of Education, University of London, received an MBE for services to music education. Professor Hallam is a member of the editorial boards of the journal Psychology of Music and the Journal of the Institute for Educational Research. Her research interests include disaffection from school, learning and understanding, ability grouping, music psychology and music education. Among others honoured were Dr Anna van der Gaag, Chair of the Health and Care Professions Council, who received a CBE for services to health and care, and Dr Hilary Cass, President of the Royal College of Paediatric and Child Health, who received an OBE for services to child health.